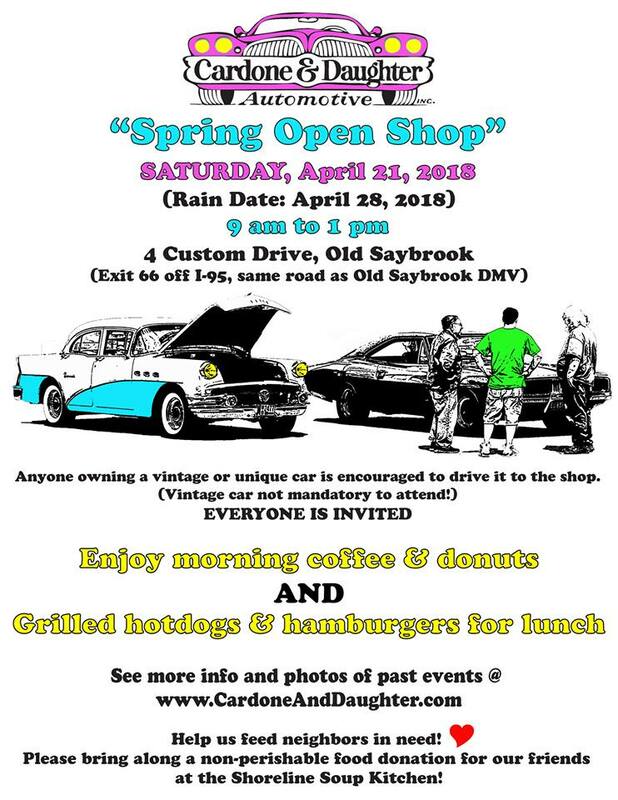 Cardone and Daughter Open Shop, Sat, April 13, 2019 , 9 AM -1 PM. Meet at Somewhere in Time at 8:30 AM. -Sturbridge Village Car Show, Sat. June 8. See website & our calendar. -RI Street Rod Assoc. Swap & Show, Sun., June 9, Washington County Fairgrounds, Richmond. See Details. ​- Cruisin' on the Mountaintop, Sunday, June 16 2019. Tannersville, NY. 10 AM -4 PM. Father's Day Show. See their Facebook Page and our Calendar. Flyer attached to above icon. ​-Eastern Spring National, Wed. Jun 26-Sat. Jun 29, Parsippany, NJ. See website. -Essex Car Club, Thurs Jul 4, CT River Museum, See club site. - Cruisin' on the Mountaintop, Sunday, Sept. 22, 2019. Tannersville, NY. 10 AM -4 PM. See their Facebook Page and our Calendar. Flyer attached to above icon.